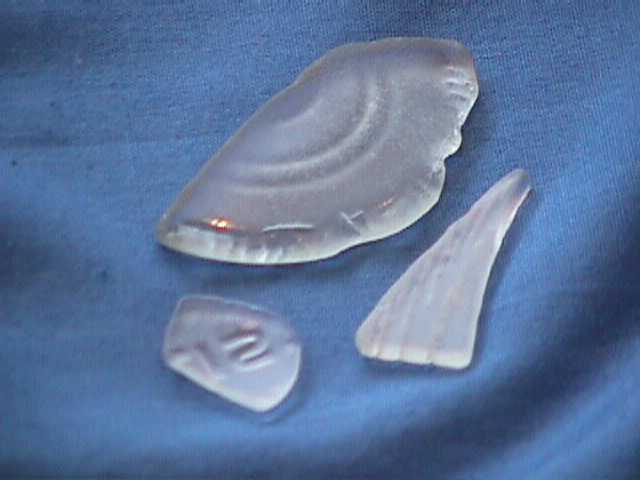 Sea glass is defined as glass which has been discarded in the ocean, has been churned around within the ocean again shells and sand, and which has its edges smoothed by the these actions. 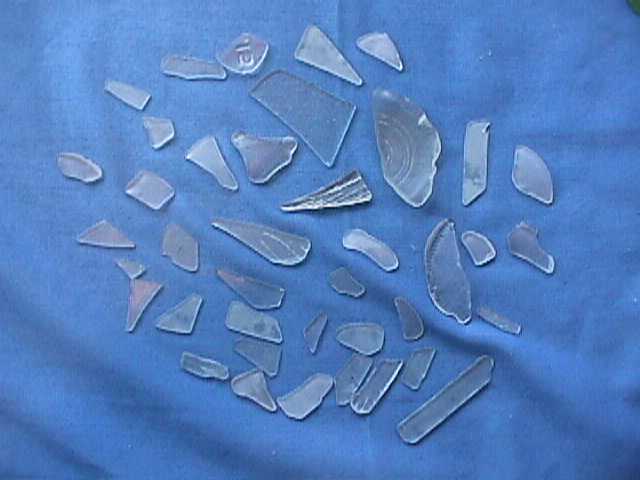 The small bits of glass which have washed around in the ocean gets tossed up on the beach at various tides. As I walked along the beach each morning from 7:00 a.m - 11:00 a.m. 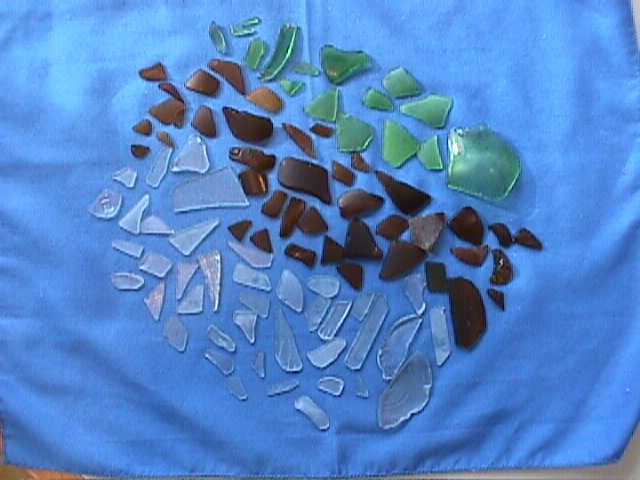 I found several pieces each day. 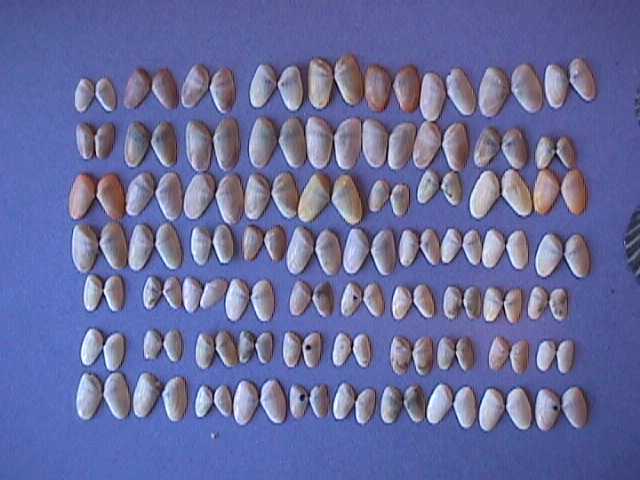 Then other days we would pick up all these tiny pairs of shells. 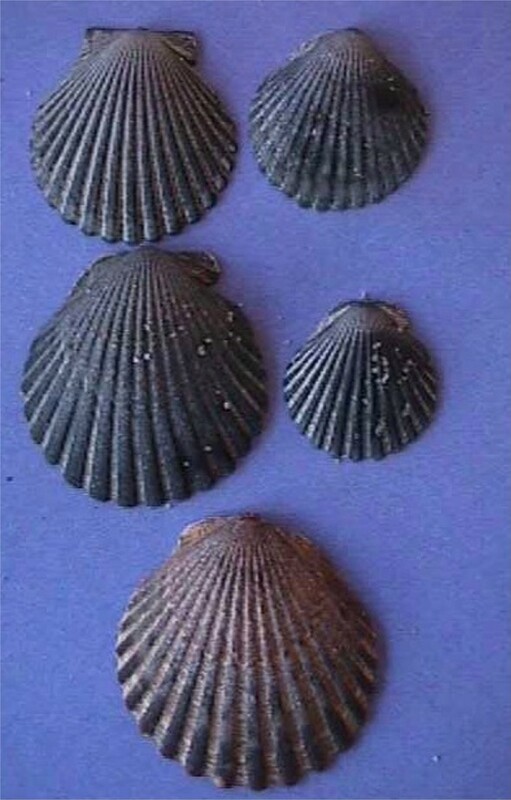 The colors would vary from white to shades of blue to brown. 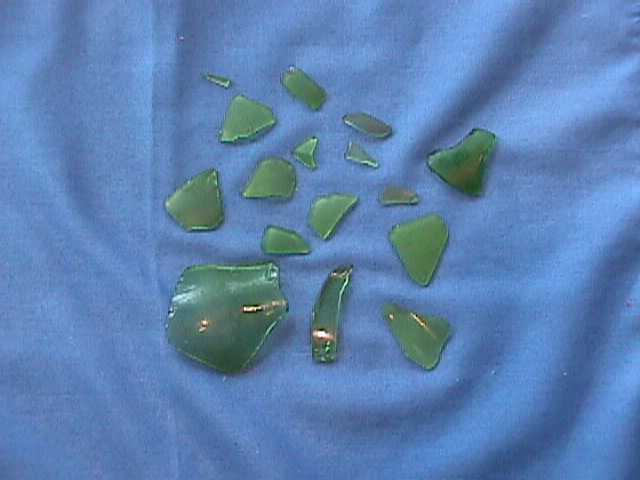 The glass, I found this summer, came in three colors. 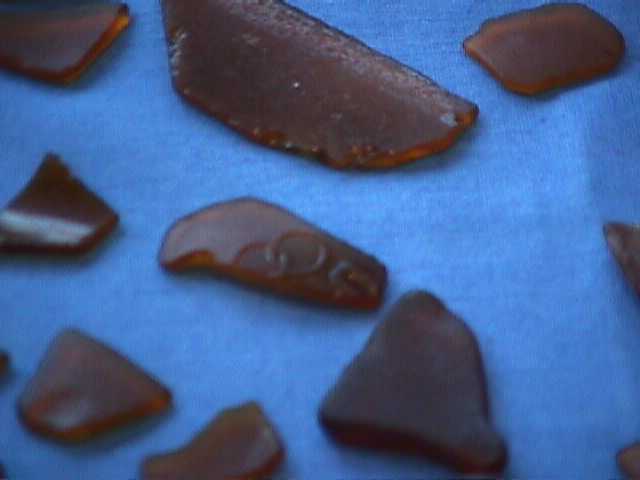 Some of the pieces had identifying marks like Olympus Rings or the number 12. The shapes were very varied. Pieces came in all different sizes. 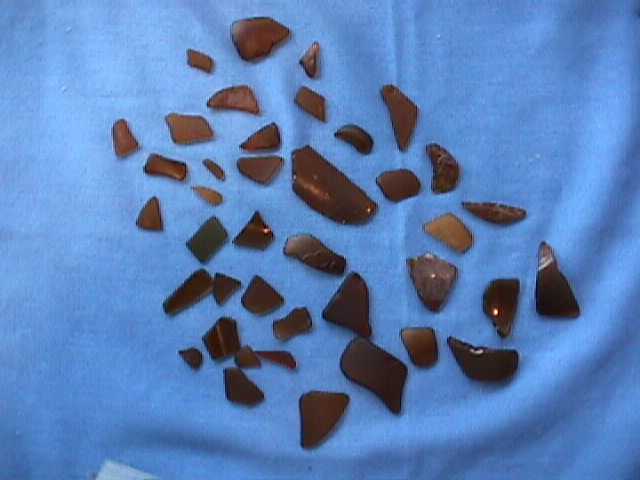 Even though clear was difficult to find it appears that I almost found as much clear glass as brown glass.